The statement necklace of the season. 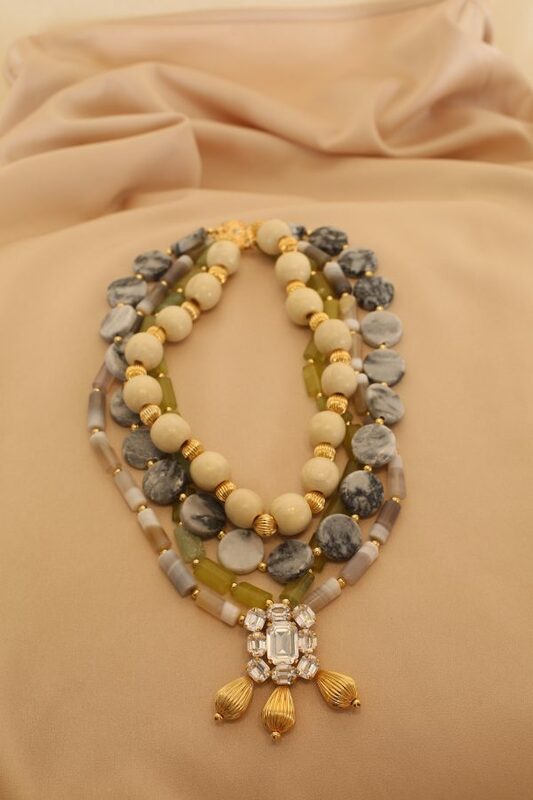 Our ‘Castellorizo’s Shore’ necklace goes all the way with its four layers of rivers made of wooden, marble and goldplated brass beads. It ends with a swarovksi crystal brooch paired with three vintage drops, giving it a retro-modern look.